ABB has launched Stage 3 of its so-called “Next Level” strategy which aims to drive company-wide growth via four entrepreneurial divisions, while realizing the group’s full digital potential and improving operational efficiencies. Effective January 1, 2017, ABB will shape its divisional structure into four divisions: Electrification Products, Robotics and Motion, Industrial Automation and Power Grids – empowered as entrepreneurial units within ABB. The divisions will maintain sales collaboration orchestrated by regions and countries as well as from the group-wide digital offering; ABB’s G&A structure and costs; common supply chain management; and corporate research centers. ABB said it will continue active portfolio management, including pursuing strategic additions, transforming business models and pruning non-core businesses. The newly launched ABB Ability combines the group’s portfolio of digital solutions and services across all customer segments, and aims to better support the competiveness of ABB’s four entrepreneurial divisions. ABB also announced a far-reaching strategic partnership with Microsoft to develop next-generation digital solutions on an integrated cloud platform. ABB intends to combine its domain knowledge and portfolio of industrial solutions with Microsoft’s Azure intelligent cloud and B2B engineering competence to drive digital transformation in customer segments across ABB’s businesses such as robotics, marine and e-mobility. 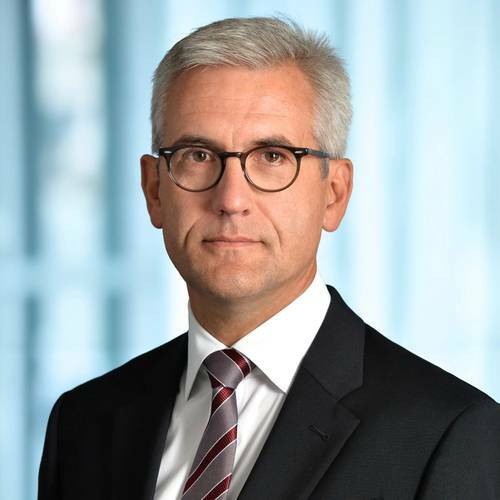 ABB’s digital transformation will be led by Guido Jouret, a pioneer in the Internet of Things, who began his role as Chief Digital Officer, reporting directly to the CEO, on October 1, 2016. In a transition expected to take up to two years, ABB will adopt a single corporate brand that consolidates all of its brands under one umbrella and unifies its portfolio of companies. ABB said the unified brand plays a key part in realizing the value potential of its digital offering, as it increases customer loyalty, price premiums and purchase probability. One master brand allows ABB to better present its strategy to relevant stakeholders, emphasizes the group’s customer-first, digital-first thinking and makes it easier to interact with existing and future customers. A white-collar productivity savings program launched by ABB has outperformed expectations since its launch last year, the company said. As a result, ABB has increased the program’s cost reduction target by 30 percent to $1.3 billion, which ABB said is achievable within the initial timeframe and with unchanged restructuring and implementation costs. ABB said it is continuing its regular cost-savings programs, leveraging operational excellence and world-class supply chain management to achieve savings equivalent to 3-5 percent of cost of sales each year. Additionally, a 1,000-day working capital program is in place to free up approximately $2 billion by the end of 2017, and is well on track and focuses on improving inventory management by optimizing the entire value chain, from product design to manufacturing, and by optimizing other net working capital measures. ABB announced plans for a new share buyback program of up to $3 billion from 2017 through 2019. On September 30, 2016, ABB announced the completion of its recent share buyback program in which it returned $3.5 billion to its shareholders. Over the last three years, ABB has returned $8.7 billion to shareholders in the form of dividends and share buybacks. Active portfolio management remains a key aspect of ABB’s operating pattern as demonstrated in the recent portfolio pruning and bolt on acquisitions as well as the cable business divestiture and business model changes in Power Grids, the company noted. According to ABB, its capital allocation priorities remain unchanged: 1) funding organic growth, R&D and capital expenditures at attractive cash returns; 2) paying a steadily rising, sustainable dividend; 3) investing in value-creating acquisitions; and 4) returning additional cash to shareholders.